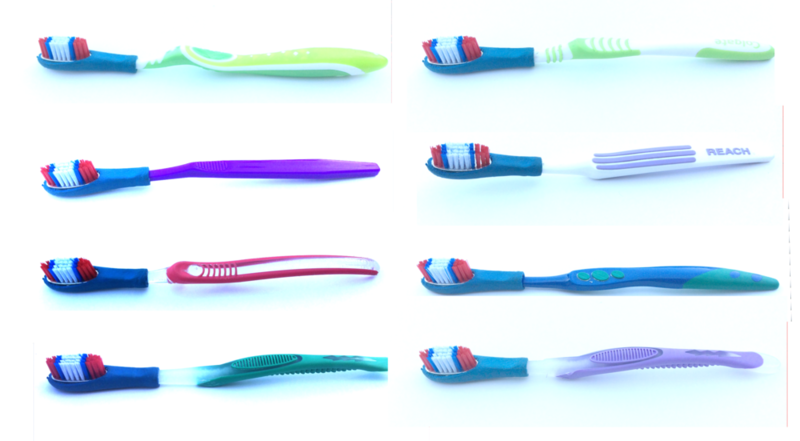 Design iterations to create a versatile interference fit for all off the shelf toothbrush sizes. Full life cycle analysis of the proposed design compared to that of a standard off the shelf manual toothbrush showed a significant reduction in the associated embodied energy and carbon dioxide. This is mostly due to the dramatic reduction in material weight. It must be noted that FIGURE 1 shows a direct comparison of the products and does not take into account the increased lifespan of three uses compared to a single use standard manual.